Sir Tony Robinson presents the second series of Hidden Britain by Drone on Channel 4. 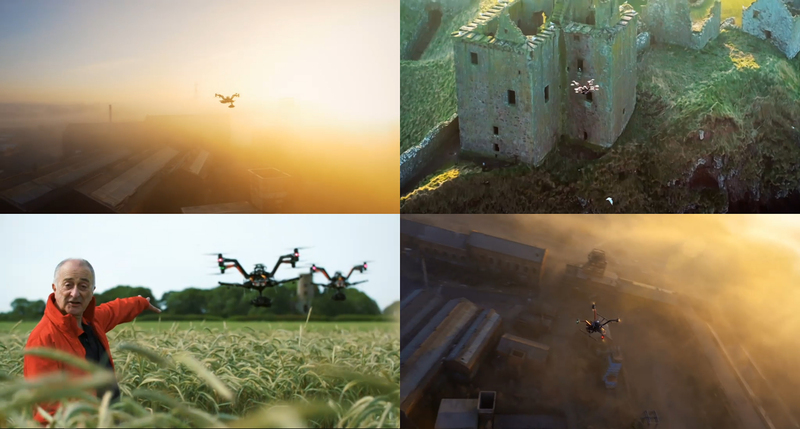 Almost all the flying in the series was done by Spider Aerial Filming, one of the most experienced aerial filming companies in the world and well known for their extreme flying abilities. Whilst some smaller aircraft were used, most of the footage was captured using their pair of Vulcan Black Widow X8s. Not only did they capture hours of stunning footage for the features in the show, they included plenty of spectacular air to air filming of the Black Widows in action!